100% of the proceeds from EVERY sale go DIRECTLY to the Animal Campaign of the month! 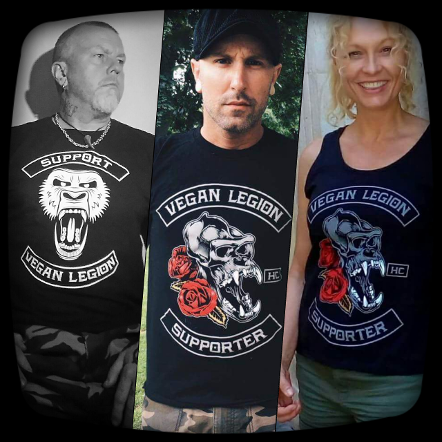 To purchase just PM Support Vegan Legion on Facebook! * Crew member Linus superbly modeling the newest support shirt. 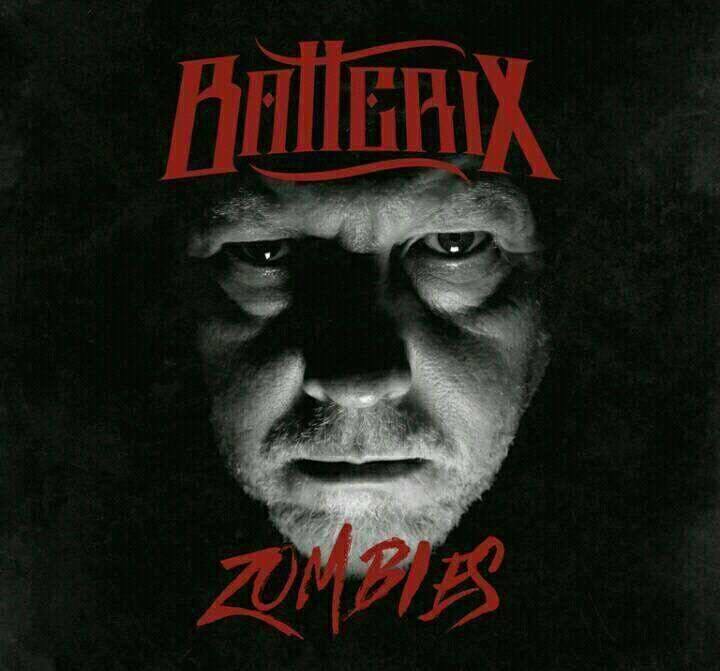 *Jon (the Vegan Zombie) looking sharp in our original support shirt. *Michelle killing it in our support tank. And as always : EVERY DIME I MAKE FROM MY MUSIC GOES DIRECTLY TO ANIMAL RIGHTS WORK! *Do you need a new patch for your cut? 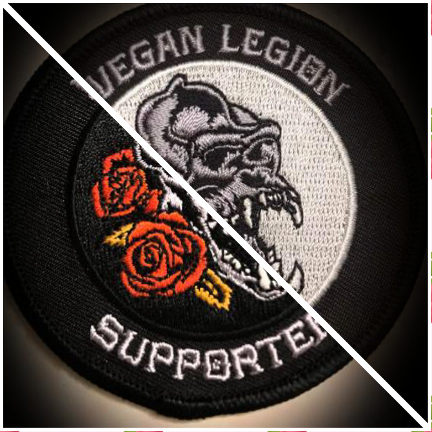 Rock the MF'er and let them all know you #SupportVeganLegion!